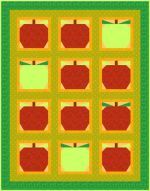 A Pieced Apple Quilt. Finished size is 52" x 66 1/2". 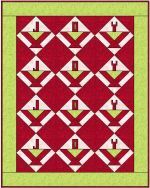 A traditionally pieced quilt. Finished size is 68" square. 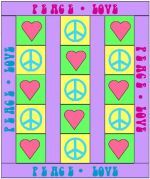 Bring out your inner hippie with some quilted Peace & Love! 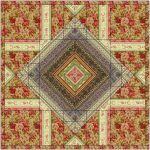 A pieced and appliqu�d quilt. Finished size is 51" x 61". Finished size is 60" square. What a great way to sit in the park for a picnic! 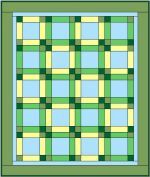 A traditionally pieced quilt. Finished size is 78" square. A traditionally pieced quilt. Finished size is 71" square. 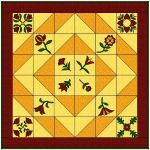 This quilt has all the pretty elements of a decorated cake - via applique! Finished size is 30" square. A traditionally pieced quilt. Finished size is 38" square. Finished size is 38" square. 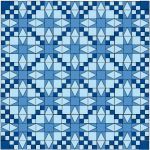 A pieced and appliqu�d quilt. Finished size is 63 3/4" x 75 1/2". 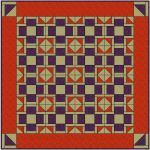 A pieced and appliqu�d quilt. Finished size is 71" square. 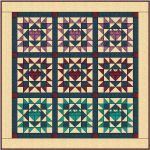 Share your JOY this Holiday Season with a Quilt Texture Mix of pieced Baskets and appliqu�d JOY templates! Finished size is 53 1/2" x 67 1/2". 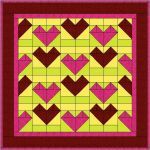 Add a touch of love to the "Contrary Wife" quilt block to create this beautiful quilt! Finished size is 85" square. 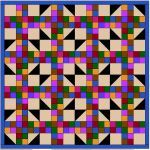 A pieced and appliqu�d quilt. Finished size is 71" x 85". 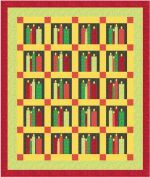 A traditionally pieced quilt. Finished size is 48" square.